Faculty of Management Studies (FMS) is the Department of AVIT offering two year full time Master of Business Administration (MBA) program. FMS has been functional since 1994 (erstwhile with University of Madras). The mission of FMS is “to provide quality management education to the students to enable them to face the challenges in the demanding global scenario, coupled with activities to further enhance social and intellectual growth”. 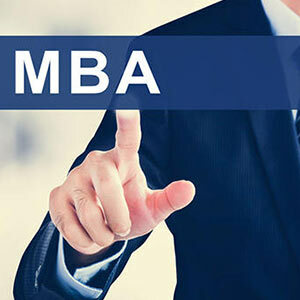 This program helps the students to adapt to the business requirements and well-grooms them in conceptual and analytical managerial skills and streamlines them to match the ever-demanding requirements of the modern business world. Faculty of Management Studies, AVIT is committed to the vision of imparting quality management education producing decision makers who can contribute as business practitioners or management professionals with sound ethical values. To create the right platform and environment for imparting managerial education to all aspirants from any cross-section of the society and develop them into responsible professional business managers or practitioners in the country and globally. “Curriculum and syllabus” mean the various components/subjects/papers studied in each programme that provides appropriate knowledge in the chosen branch is called curriculum. The curriculum and syllabus for study as prescribed by the Board of Studies (BoS) with the approval of the concern Board of Faculty (BoF) and Academic Council (AC) based on the UGC/AICTE regulations.